By 2050, more people will live in cities than are currently alive. More than 6.5 billion (out of a total 9.7 billion) will be dependent on the infrastructure of their cities. For these cities to flourish they have to rely on state-of-the-art technology, as well as provide opportunities for their citizens to develop new technologies. Berlin has one of the fastest-growing ecosystems in the world. In 2015, the city received the biggest venture capital investment of any European city. Business Insider recently consulted with 2thinknow to come up with a list of the top 85 cities in terms of tech advancement. The Melbourne-based data innovation agency is considered to be the leading innovator in authoritative city data. Using their proprietary Innovation Cities Program and Index and the City Benchmarking Data, along with 10 technological advancement factors, they ranked and sorted the cities to determine what the future of cities and megacities will look like. The city takes pride in its rich business ecosystem and a wide array of talent that makes it a magnet for start-ups. The city has a never-ending tale of success stories, which include Apple, Google, Facebook, HP, Intel, Airbnb, Uber, and Twitter. It is the epicenter of everything tech and the supply chain of innovation, making it the gold standard for tech cities. Famously linked to Silicon Valley, just to the south, the area accounts for a third of all the venture capital investment in the entire United States. It was in this hub that silicon-based integrated circuit, the microprocessors, the microcomputer, and other key technologies were developed. Silicon Valley is the home to 39 businesses in the Fortune 1000, and thousands more promising start-up companies. New York City represents the next wave of technology disruption and the well-established traditional economies. The city is projected to be the next nerve center of the next business revolution, which will move beyond the early tech innovations such as faster, smaller chips, and virtually connecting people and information. New York City is the undisputed global leader in finance and advertising, fashion, and the arts, and is now heavily turning to technology disruption. About 7,000 tech companies currently call New York City home, providing more than 100,000 jobs. New York City, unlike Silicon Valley, has embraced the marriage of technology and consumer goods. As technology disruption moves in the direction of traditional industries, the city is in a position of advantage. London’s tech industry, although not as high-profile as that of Silicon Valley, is gathering strength and depth. Widely regarded as an also run a decade ago, current British entrepreneurs have built an increasingly promising homegrown tech industry. The city has become good at applying and developing technology in retail and in banking, including standalone start-up tech businesses. The growth of the tech industry in the UK, with London’s crucial role in the growth, resulted in the growth of digital technology sector by 46%, employing about 200,000 people. Digital technology accounts for 3.5% of all London jobs and contributes 5% of gross value-added products. 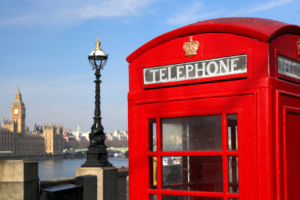 UK’s capital has more than 40,000 digital tech firms, spread over Westminster, Tower Hamlets, the City of London, and Camden. The tech scene in Los Angeles has been shining brightly, not only because of the glitter of Hollywood but also because of the city’s emerging role in the increasingly connected and innovation-fueled world. More than a decade ago, Hollywood was the main attraction of the metropolis, lacking any semblance of a technology scene. But the nurturing of MySpace, e-Harmony, and the former Applied Semantics that is now Google AdSense made Los Angeles the third leading entrepreneurial hub, giving rise to tech talent and start-up communities. LA is now home to Tinder, Scopely, Hyperloop, The Honest Company, and SpaceX. Los Angeles now ranks first in gaming, e-commerce, and online media, made possible by an access to engineering talent, content investors, and Hollywood influencers. LA saw more than $900 million in investment poured into consumer start-ups and social media in 2015. 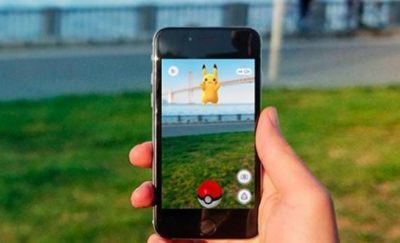 It is now taking over smartphone screens and TV entertainment with such companies as Hulu and Snapchat. Los Angeles boasts of great schools, such as UCLA, USC, and Caltech that produce more engineers than any other city in the country, producing the talent behind influential companies such as Saleforce, Box, Eat24, Tinder, Uber, Applied Semantics, and The Honest Company. 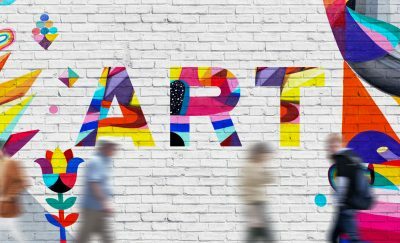 The army of talents is complemented by prolific investors, which include Troy Carter, Peter Pham, Matt Mazzeo, Ashton Kutcher, Paige Craig, and much more. 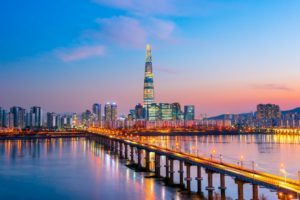 Seoul is referred to as the city of the future, projected to be the next global hub for tech start-ups. South Korea has been ranked first among all countries in patent activity, research & development capability, tech density, and productivity. Seoul has filed more patents than any other city in the world. The city has developed widely used technologies, such as LTE for the smartphones. South Korea, especially Seoul, is the leader in broadband speed, which is currently at 50 Mbps. Seoul’s penetration of world broadband is at an all-time high at 97%. Young technologists fuel the start-up scene, led by social media innovators and game developers. The tech hardware industry is the pillar of Taiwan’s economy. Taipei is the world’s leader in industrial design. For many years, the city delved into hardware rather than software. Taipei is the home of some of the world’s largest PC manufacturers such as Asus, Acer, Gigabyte, and MSI. It is also home to the smartphone manufacturer HTC. Dozens of Apple component makers are located in the Taiwanese capital. The city also has a large number of venture capitalists. The city used to be an indispensable part of the world’s high-tech supply chain although it is currently facing stiff competition from China that has pushed into the same tech area that sustained the Taiwanese economy for years. Although many entrepreneurs turn their eyes to such tech hubs as the Silicon Valley or Austin, Texas, the city of Boston continues to grow as a tech mecca on the eastern seaboard of the US. Boston possesses a unique tech DNA that nurtures early-stage start-ups to technology giants. The famous universities in the area, such as MIT, Harvard, Tufts, and others have produced exciting technologies, mostly in the fields of robotics and biotech. Companies like Amazon and Facebook set up their R&D offices in the city to take advantage of the available pool of talent. Venture capital firms, such as Atlas Venture, Battery Ventures, Matric Venture Partners, and Bessemer Venture Partners are pouring investment into university start-ups and innovation labs that flourish in the city. The Southeast Asian city-state is fast turning into the Silicon Valley of the region, continuously attracting tech workers and investors. The city has featured for the past several years a continuous infrastructure construction, driven by the startups and high-tech giants. 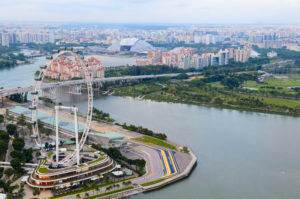 Singapore has given a massive push to make the city-state a wired up city as part of the “Smart Nation” program, with start-ups in the region busy building up gizmos and apps for businesses and homes. Singapore is taking robotics seriously, projecting to make it a US$82 billion industry in the next few years. Robots have been widely employed in the tech industry and in the manufacturing sector. The government is scaling up the robotics program to develop and deploy new technologies to benefit healthcare, logistics, construction, and manufacturing. Toronto is Canada’s center for technology research and development. It is Canada’s largest, most innovative, and most dynamic hub of technology-focused businesses. The city’s technology sector is comprised of companies that manufacture computer and related equipment, semiconductor and electronic components, software, navigational and measuring equipment, and electronic and precision equipment. The city teems with start-ups and innovative infrastructure that came out of places like the Cisco Innovation Center. About a third of the IT firms in Canada call Toronto home, accounting for about $42 billion in annual revenue. Most of Toronto’s startups have less than 50 employees each, as they are mostly young companies that are projected to make their impact in the coming years. The Windy City has for years been projected as the next Silicon Valley because of the large number of tech startups in a place that allows a more reasonable cost of living and operating a business. Chicago’s tech hub status is becoming more real with the help of tech incubators that spurred the growth of local training programs. For the past few years, Chicago led the nation in corporate relocations, making the city a real hub for technology where both companies and their employees thrive. Chicago is home to large companies in diverse sectors, such as United Airlines and Boeing. The city boasts of a bevy of tech talents produced by the University of Illinois at Urbana-Champaign that produces hundreds of computer scientists and engineers each year. The Dallas-Fort Worth area in Texas is home to several global brands in the tech sector composed of about 3,000 tech companies and nearly 230,000 high-tech workers. The area has become one of the leading high-tech business regions in the country, just behind Silicon Valley of California. Key high-tech players strengthened the infrastructure of the North Texas tech community, boosting the local economy and providing employment opportunities. AT&T moved its headquarters to Dallas while Texas Instruments built a new wafer fabrication unit in Richardson. Oracle and Cisco expanded their operations in the region while adding new jobs. The area is rich in diverse high-tech companies, which include the likes of Rockwell Collins, Ericsson, Genband, Avaya, and Verizon Wireless. The area that used to be dominated by telecom giants is now home to diverse industries that operate in various sectors. For several decades, the innovative products and prominent consumer brands of electronics in Japan were the envy of the whole world. Unfortunately, the giant Japanese brands have lost much of their luster to foreign competitors, mainly due to the Japanese reluctance to make aggressive moves in today’s high-tech industries. Despite losing its prime position in the tech industry, Tokyo, Japan remains a leading player in the electronics industry. It is a leading city in the fields of technology, machinery, and scientific and medical research. Japan has the third highest budget in the world for research and development. Japanese scientists have received the largest number of science Nobel prizes in the region. Tokyo is home to world-renowned tech companies that include Sony, Canon, NTT DoCoMo, KDDI, Casio, and much more. The King, makers of the world-famous iPhone game Candy Crush, Mojang, creator of Minecraft, as well thousands of startups call the Swedish capital home. Stockholm became famous worldwide because of the city’s games, apps, and digital services. Stockholm has fully embraced the environmental and digital revolutions. The city takes pride in hosting the most billion-dollar startups in Europe. Stockholm is now second among the world’s fastest growing markets for venture capital investments. Since 2008, Vancouver’s tech sector has been the engine of growth for the province of British Columbia. The tech sector has grown at twice the rate of the overall economy of the province. The city was recognized in 2014 as “Silicon Valley North” because of the proliferation of a strong start-up culture. Vancouver’s tech sector is composed of more than 600 companies that bring in more than $2 billion in annual revenues. The city is a magnet to up-and-coming engineers and established tech executives because of the city’s low corporate taxes. The capital of the Netherlands is Europe’s thriving tech and information and communications technology (ICT) hub. Amsterdam is home to innovative companies, as well as to an open and creative tech scene. One of the world’s largest data transport hubs – the Amsterdam Internet Exchange (AMS-IX) is located in the city. The city plays host also to a number of tech conferences, accelerators and incubator programs that strengthen the city’s position as a start-up hub. The city looks forward to becoming a city of electric and smart vehicles by imposing a ban on gas and diesel-powered vehicles by 2025. Amsterdam is a European powerhouse in terms of financial technology, startup culture, and energy efficiency. Beijing’s new economy sector consists of several innovative industries that include new-energy vehicles and creative industries that contributed US$362.3 billion in 2016, accounting for a 6.7% increase from the previous year. Beijing’s high-tech zones, including the tech hub Zhongguancun in the Haidian District, is driving force behind the economic growth. A lot of tech companies have joined the trend towards Internet business models that included the time-honored established brands of Beijing businesses. 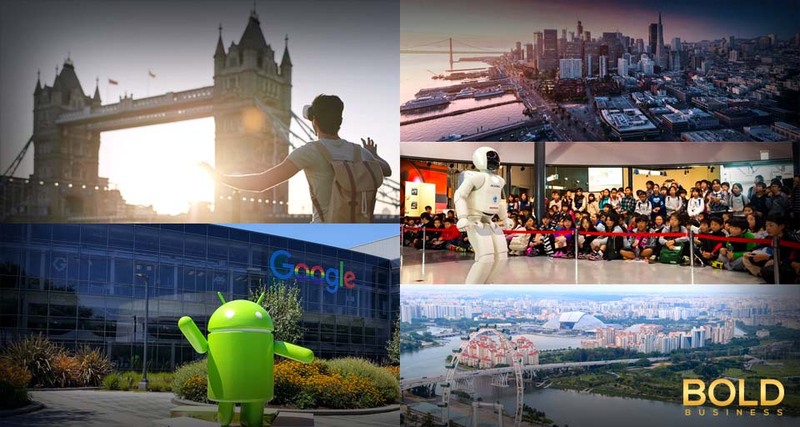 Economic growth in the city has been fueled by the success of such companies as Baidu, the Chinese Google; Alibaba, which is the world’s largest e-commerce company; China’s Facebook, Tencent; Didi, China’s version of Uber; and smartphone makers Huawei and Xiaomi. 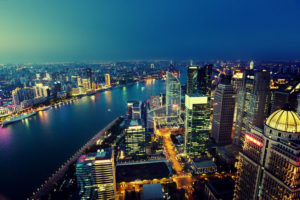 Shanghai is the biggest city in China and one of the world’s top financial hubs. Shanghai is projected in the next four years to rival California’s Silicon Valley. The city’s Zhangjiang Hi-Tech Park houses thousands of tech companies that employ more than 100,000 tech workers. Like other high-tech cities in the country, Shanghai excels in venture capital and patents, due to the top priority the Chinese gave to manufacturing and their eagerness to protect their intellectual property. Shanghai spearheads China’s move from manufacturing to become an innovation powerhouse, with focus on digitally advanced consumer goods and its large mobile users’ community. Shanghai is home to the headquarters of Tencent, ZTE, and Huawei. The largest of Quebec’s cities, Montreal is gaining a reputation as a city where technology is valued. The city is home to Ubisoft Montreal, a world leader in game development studios. The province of Quebec is a leading video game producer in the country. Montreal hosts the VR headset manufacturer Vrvana, and the OMSignal and Hexoskin companies that manufacture clothes that measure the biometric signals of the people that wear them. The tech sector of the city includes such promising companies as Crew, formerly known as Oomph, Busbud, and PPL Connect. The former site of lush farmlands, Bangalore is now home to many international and domestic technology companies that have been churning out millions of job opportunities for the young Indian tech population. Bangalore’s ascent in the tech world began when an electronic city was created outside the city. With all the limitations of high taxes and government-controlled licensing, a tech start-up Infosys emerged in the 1980s about the same time IBM introduced the personal computer. In 1983, Infosys and another future tech giant, Wipro, moved to the city and India’s IT industry started to grow based on the success of the two companies. The city was introduced to Global IT forays with the opening of Texas Instruments’ facility in 1984. Bangalore today is home to several international companies that take advantage of the population’s ability to speak the English language. Shenzhen is a modern metropolis in the southeastern part of China. The city has risen in recent years to become a global epicenter of high tech innovations in automotive and telecommunication industries. The city is the world’s leader in the manufacture of drones and aims to lead in robotics. A home to several technology giants, Shenzhen is also a recognized breeding ground of start-ups. 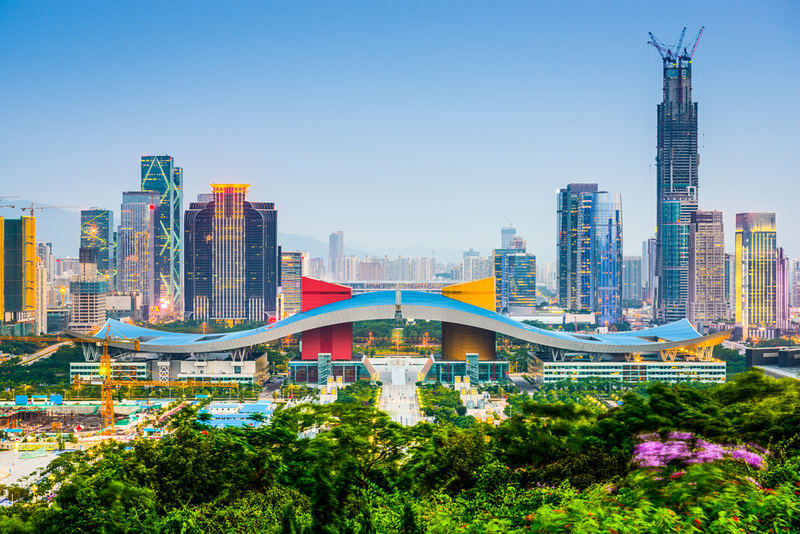 Shenzhen has been referred to as the new Silicon Valley or the “world’s factory.” The city is now a staging ground for startups, independent innovators, and high-tech companies from all over the globe. ZTE, Tencent, and Huawei all have their beginning in Shenzhen. Berlin has one of the fastest-growing ecosystems in the world. In 2015, the city received the biggest venture capital investment of any European city. Berlin’s startups such as SoundCloud and Delivery Hero have become global giants. Many European start-ups across the ocean run their European operations in Berlin. Berlin has suddenly emerged as one of the top European tech hubs. The city has a significantly lower cost of living than other tech hubs such as London and the Silicon Valley. Some of the tech companies that call Berlin home include the social game developer Wooga, Research Gate, the networking website for scientists, and Zoobe, the phone app developer. Hong Kong and Shenzhen signed a memorandum of understanding to jointly develop Lok Ma Chau Loop Innovation and Technology Park located at the border between Hong Kong and Shenzhen. The joint venture will boost Hong Kong’s technology sector that specializes in the commercialization and application of innovative systems and products, including industrial engineering. Several high-profile global technology companies are active in Hong Kong, including Texas Instruments, Nvidia, IBM, Samsung, Sierra Wireless, Siemens, Hitachi, Philips, Macronix, and Huawei. Hong Kong has also emerged as a major hub for the IT and telecommunications, resulting in the emergence of companies that deal with software and hardware design. Copenhagen could be Europe’s smallest capital city, with a population of only 560,000 but has been looking to become a hot spot for green technology and living, aiming to be fully carbon neutral in 2025. Copenhagen makes up for the lack of a strong venture capital culture, with a strong industrial design sector that focuses on smart manufacturing. A large number of companies in the Danish capital have been focusing on the exploitation of new technologies. One area where the city leads in innovation is in the manufacture of hearing aids. GN Resound teamed up with Apple in creating a ‘made for iPhone’ hearing aid that will directly connect to the iPhone through the use of a technology that is similar to Bluetooth. 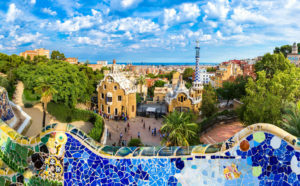 The financial crisis of 2008 played a major role in starting a new revolution – the startup revolution – in Spain, centered in Barcelona, the cosmopolitan capital of the Catalonia region. Barcelona is a shining example to the whole world of what the city of the future will look like – wired. Walk around the city and you will notice curved plastic shields in every lamppost. Those are computer systems that measure pollution, traffic, and noise, even the number of selfies taken in the streets below. Digital chips are plugged into garbage containers while sensors are rammed into the asphalt in the parking spaces. The city is becoming the world’s model of what cities will look like in the future. The US capital is transforming from a government town into a tech hub, increasing tech-related jobs by 50% over the last decade. For many years, the tech sector in the city did not grow because tech companies in the area mostly sold their wares to the government. But things are changing. In 2013, Forbes named Washington, DC as a leading tech hot spot in the country. The city is now home to more than 1,000 tech start-ups, making the nation’s capital comparable with the West Coast’s giant technology hubs. The city government launched a five-year economic plan that will create the largest tech hub on the East Coast. The city will waive corporate income taxes for the first five years of business operations, provides reimbursements for new hires, and relocation credits.